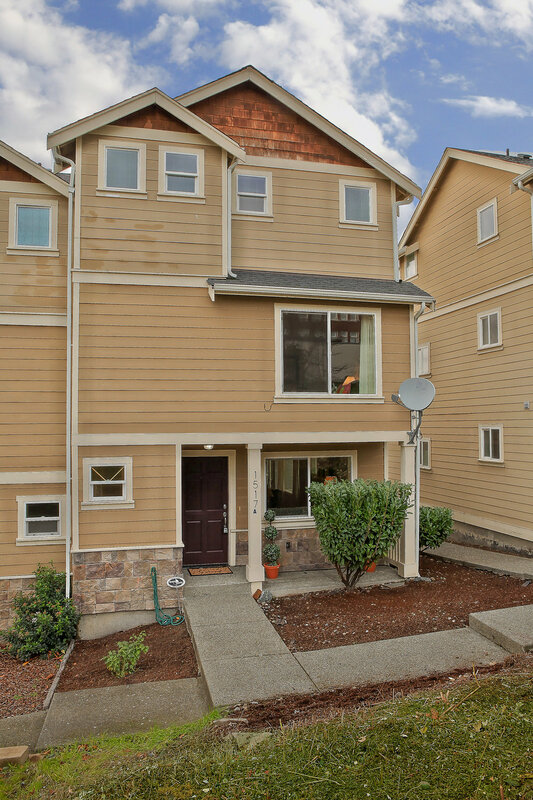 3 Bed · 2.5 Bath · 1,840 Sq. 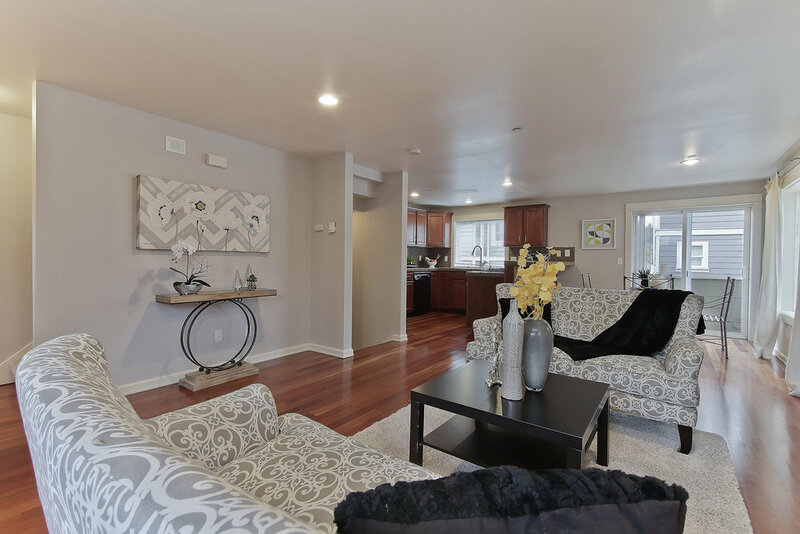 Ft.
You will feel at home in this stunning urban retreat. 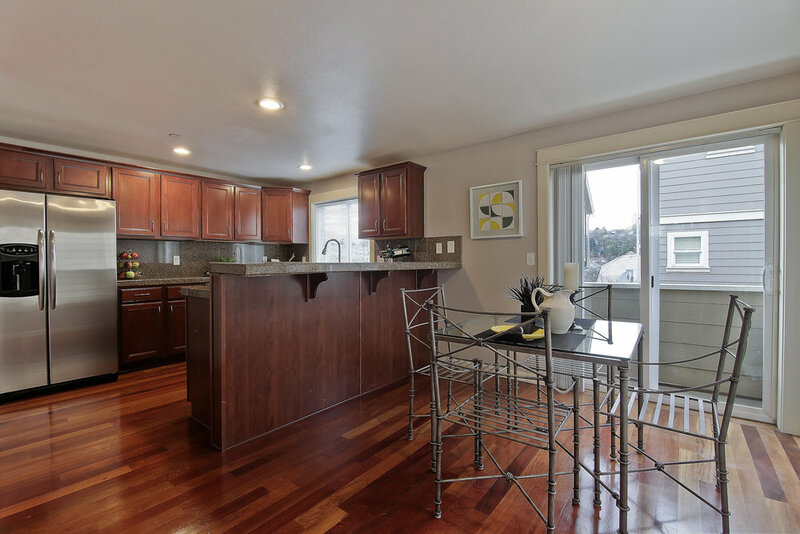 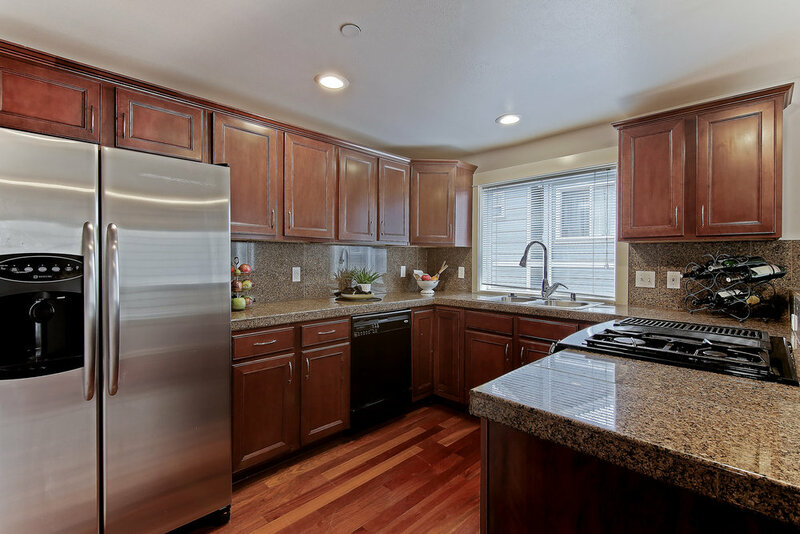 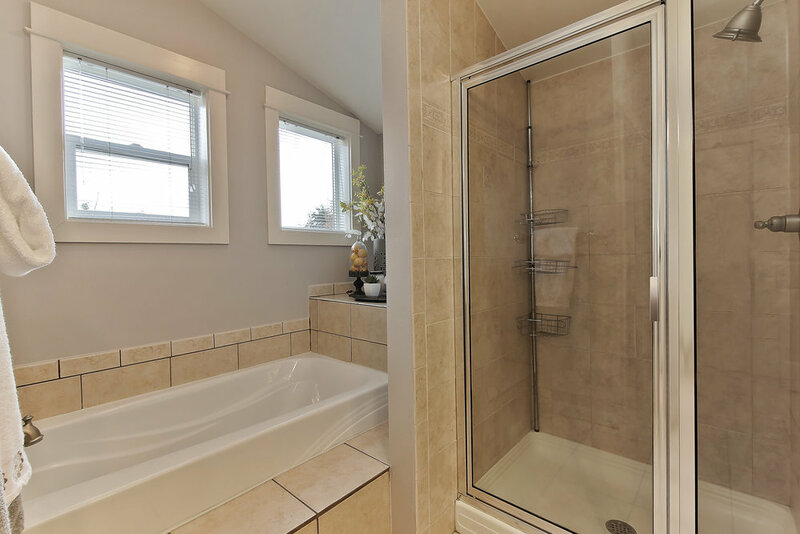 You will love the rich cherry hardwood floors, gourmet kitchen with gas stove and stainless steel appliances. 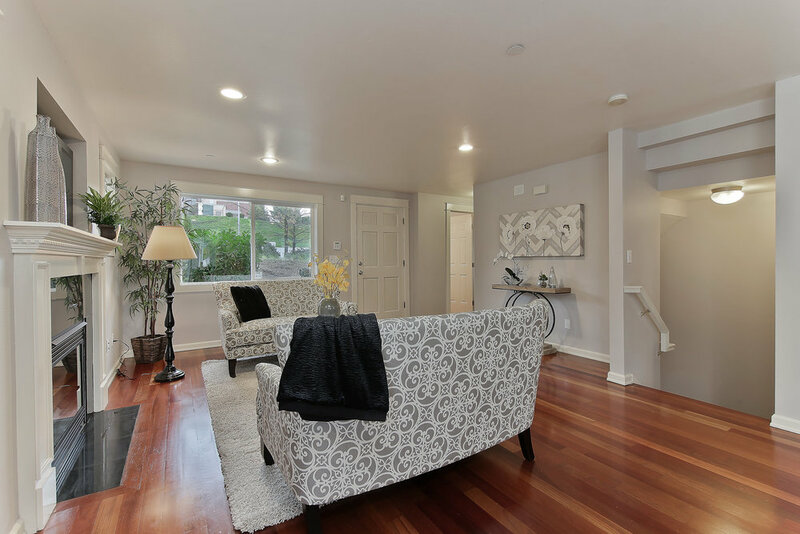 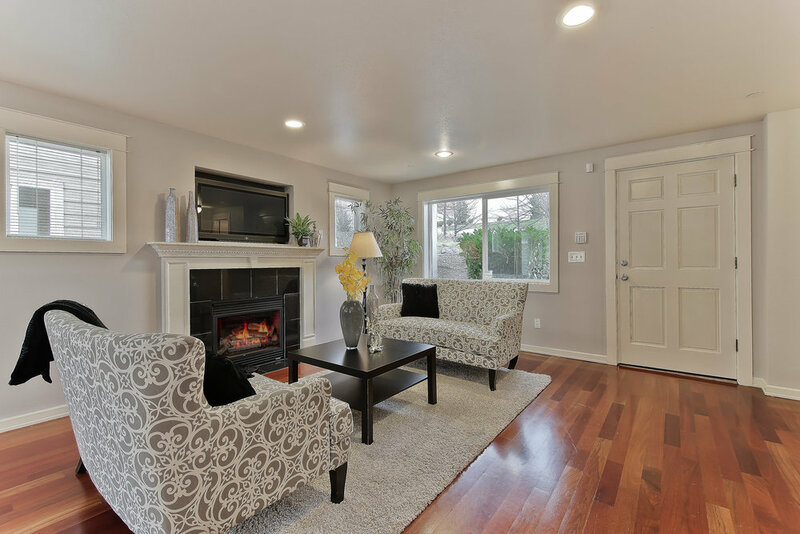 The main floor welcomes you with open floor plan, fireplace and powder bath, all perfect for entertaining. 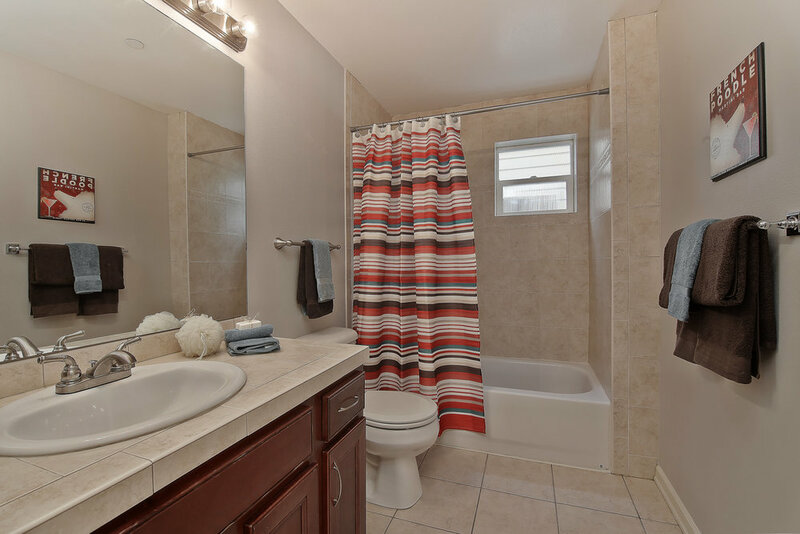 Very spacious home with two bedrooms and full bath on next level. 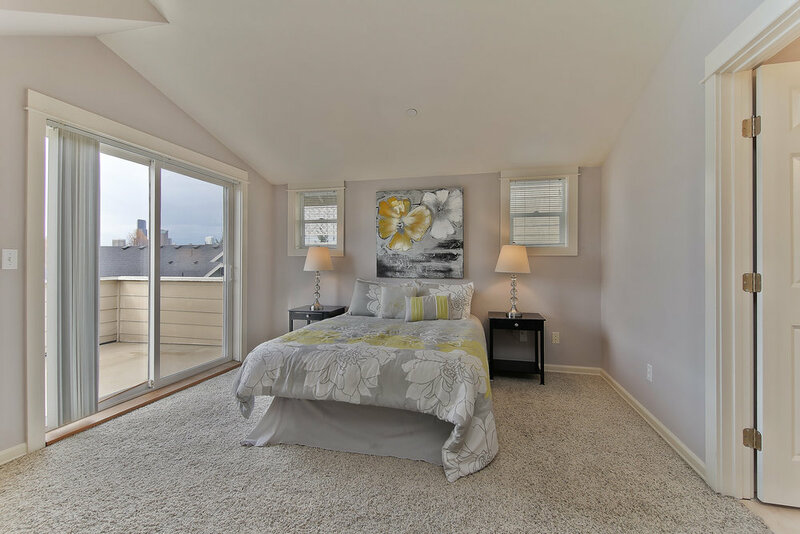 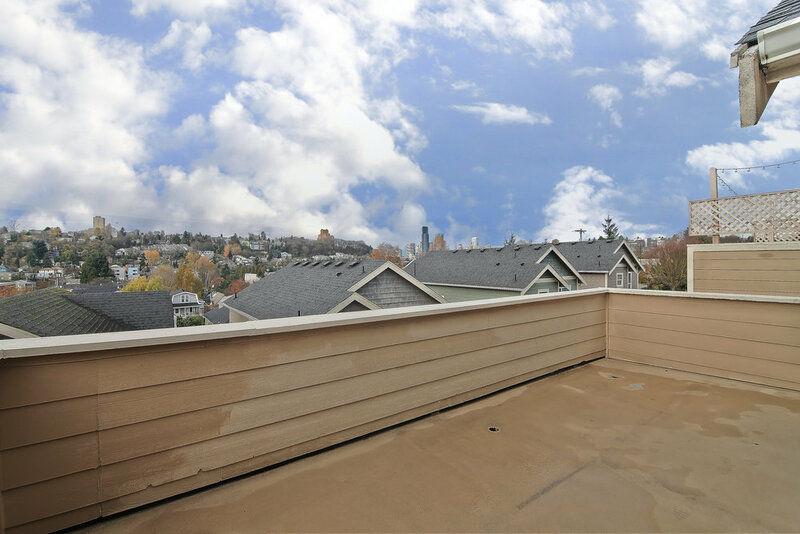 Entire top floor master suite with five piece bathroom, walk in closet and deck with city and westerly views. 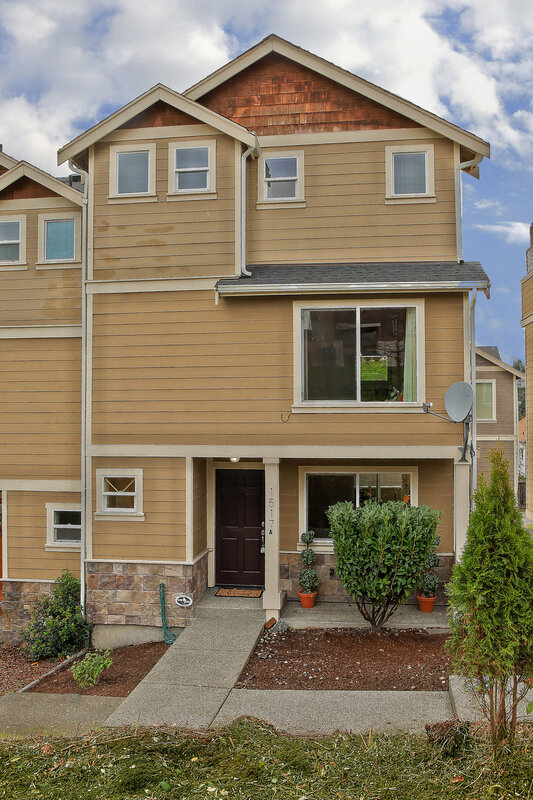 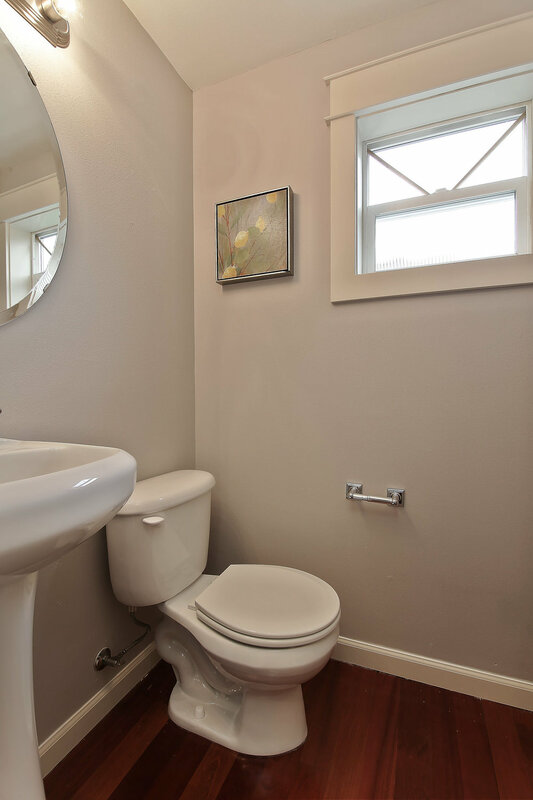 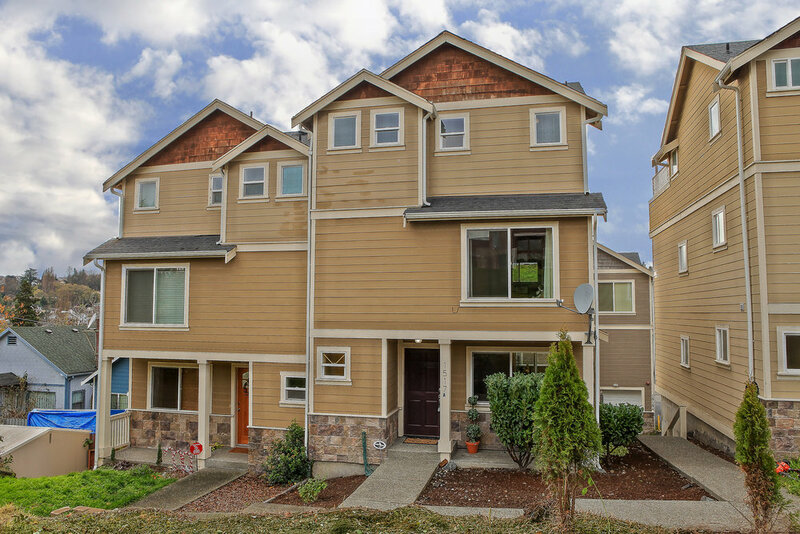 Adjacent to green space all minutes from downtown, Cap Hill, UW, light rail and numerous bus stops. 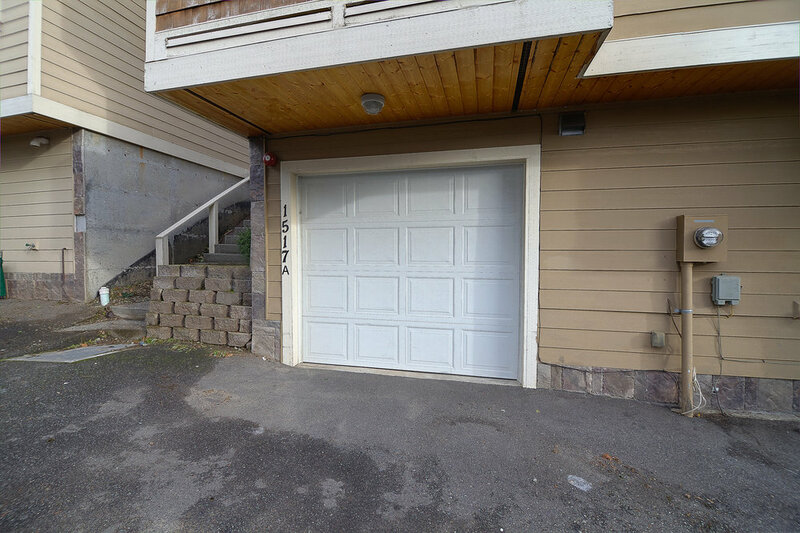 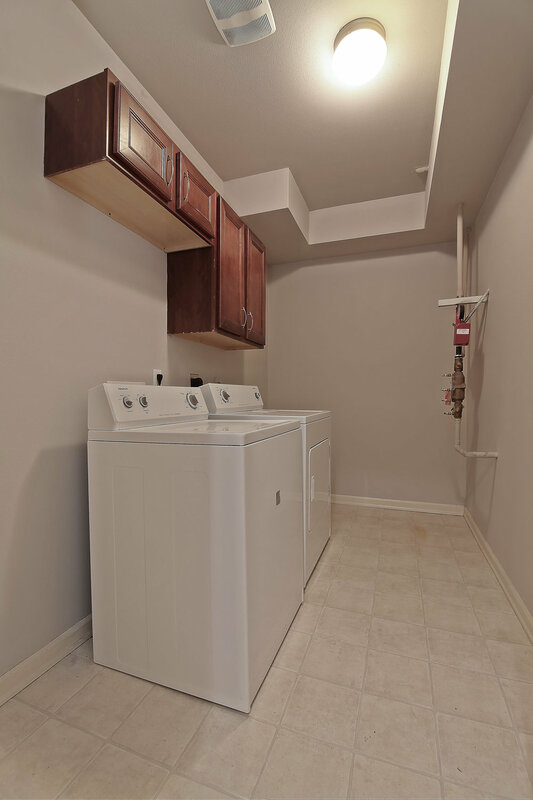 Plus attached garage and abundant storage!